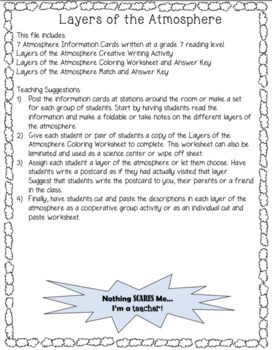 This file includes everything that you need to teach students about the layers of the atmosphere. Ready to print and use! 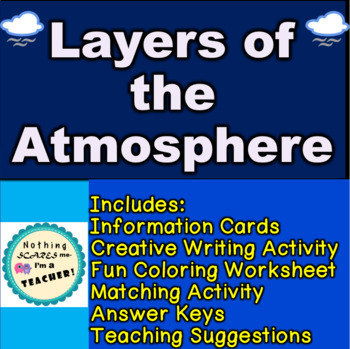 Includes description cards of the layers of the atmosphere and 3 fun atmosphere learning activities. There is a coloring worksheet, matching worksheet and a creative writing activity. Answer keys are included.